This project is in response of the beginning of my Saturn Return. THE BANSHEE UNDE[RAGE] is a testament of the past and present, not as fixed narratives but a multiplicity of experiences with grief, memory, and mourning. 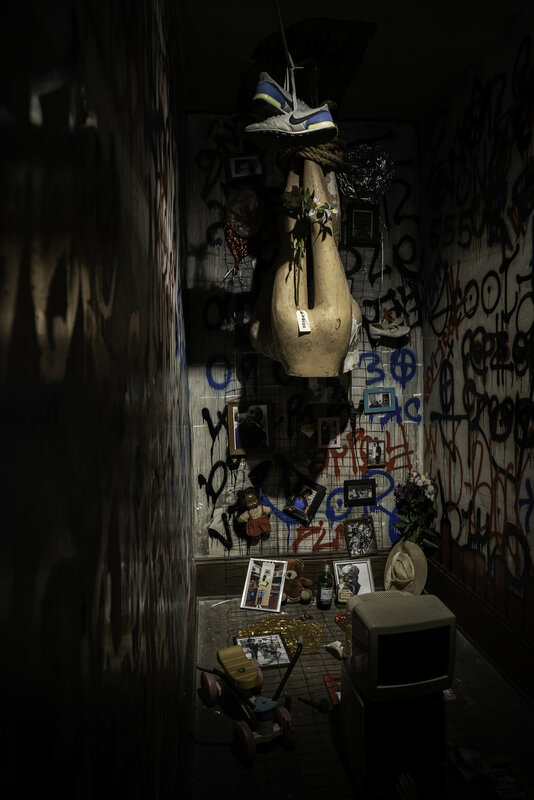 Inspired by my own personal revelations, the installation serves as a testimony of Black people who have familiar and shared experiences with mourning through memories. I am the BANSHEE in the Irish myth. 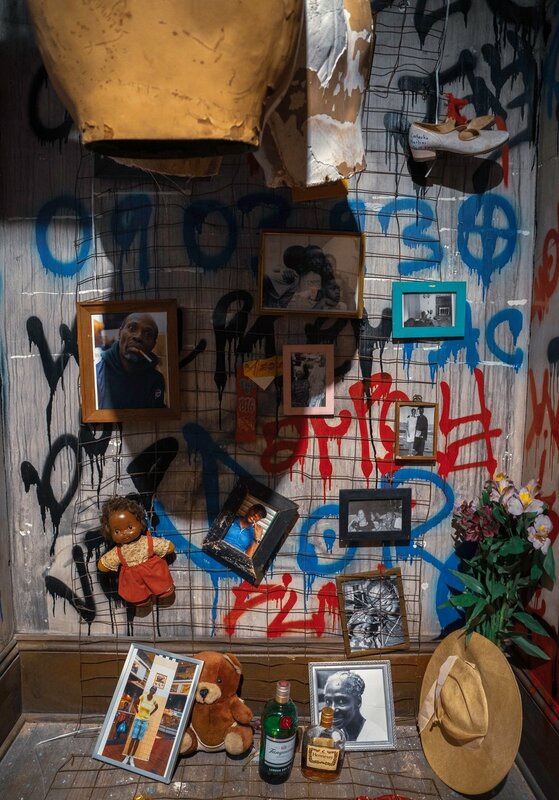 Using museum collection, wire, wood, spray paint, photographs SHAN has captured and some family photos, she curated and transformed a room on the 3rd floor into a vigil with a gritty aesthetic – one that looks and feels familiar to the vigils within Black culture, especially in Baltimore. 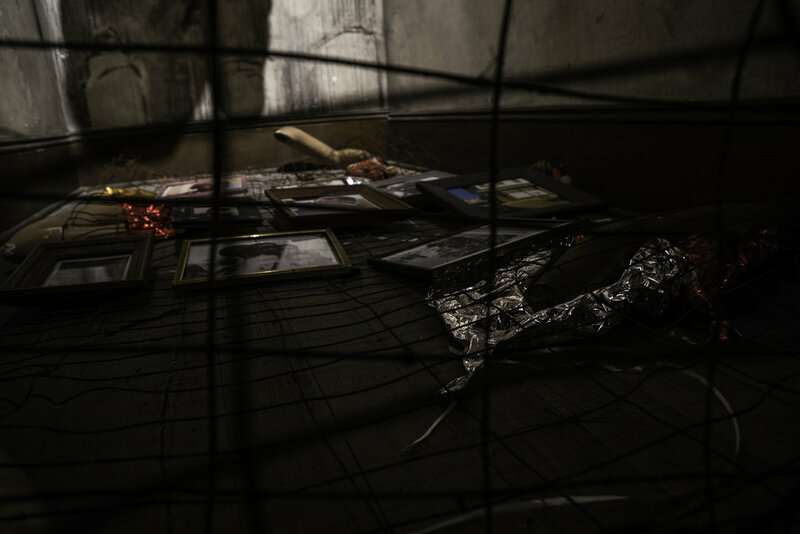 Each piece in the project intentionally serves as a construction of historical and cultural collections of symbols to (re)-connect and represent memories, mourning, and ritual. 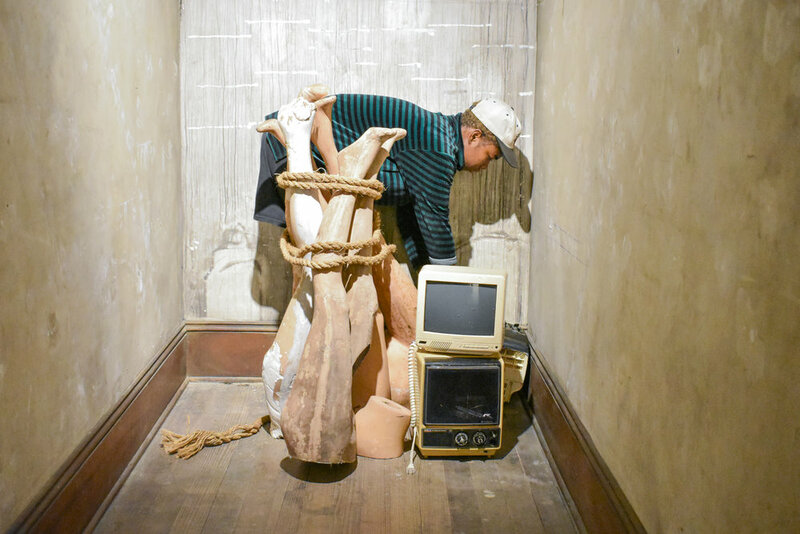 Just like Antoina B. Larkin, who installed the Vessel project at Elsewhere museum, this project is how I ensure the conservation of my identity and memories within the museum. 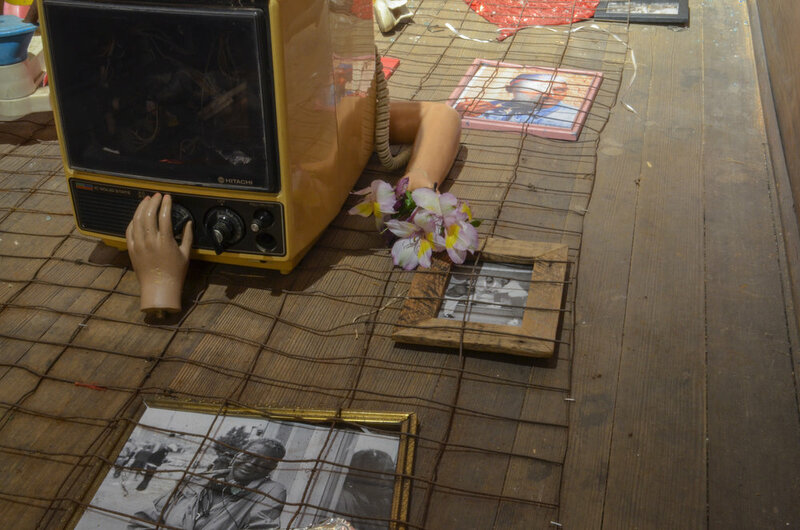 This project is also somewhat in conversation with Kenyan artist Ngũgĩ wa Thiong’o who talks about the power of memory and erasing a people's memory in order to replace it with new memories so that their past shall no longer exist. And language being a vital connection to memory.